Cambodia’s Eastern Plains Landscape (EPL) covers 28,000 km2 and hosts a network of six Protected Areas (PA) forming the largest remaining intact block of dry forest and one of the last biodiversity hotspots in Southeast Asia. The EPL is recognized as one of the 200 globally most valuable biodiversity ecoregions by WWF and other conservation organizations. This Key Biodiversity Area (KBA) has been experiencing rapid deforestation and is increasingly threatened by anthropogenic drivers including systemic poverty, unclear land rights, non- participatory land-use planning and weak governance. 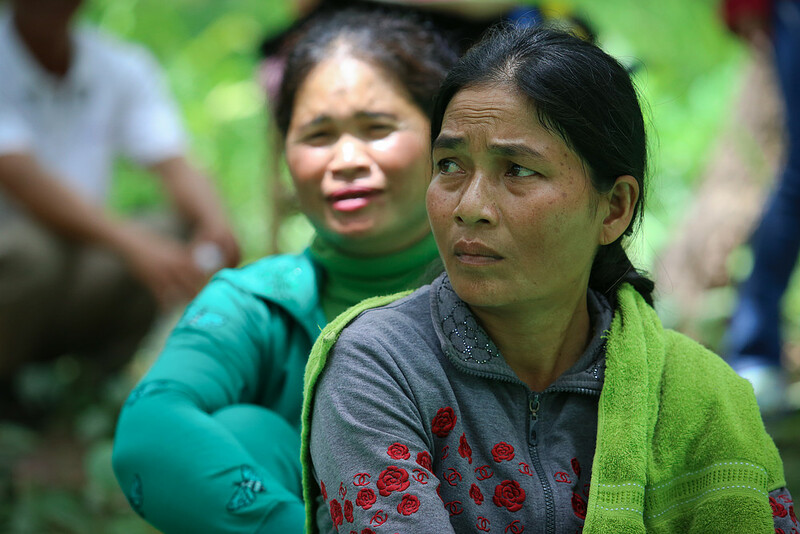 In the core area of the EPL, Srepok Wildlife Sanctuary (SWS) and Phnom Prich Wildlife Sanctuary (PPWS) cover almost 6,000 km2, providing agriculture and NTFP-based subsistence livelihoods to 30,000 individuals including 8,000 indigenous people. 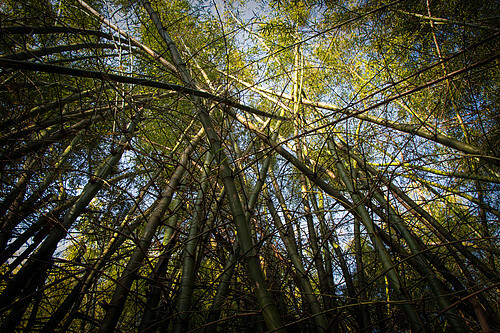 This mosaic forest landscape hosts populations of endangered and critically endangered species including Asian elephant, leopard, dhole, banteng, Siamese crocodile, Eld’s deer, Giant ibis and three species of vultures. 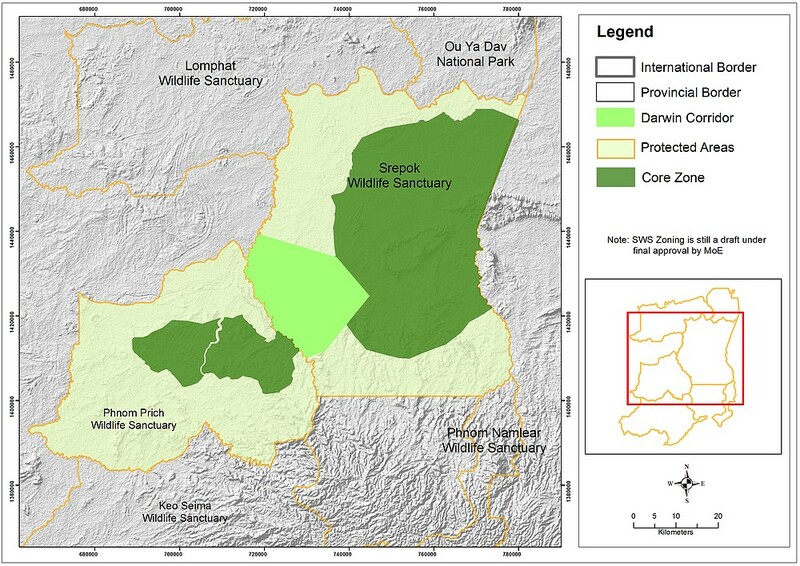 The ecological integrity of the PPWS/SWS complex is threatened by loss of connectivity between the core zones of the two Protected Areas, affecting globally threatened species of wildlife and the livelihoods of local communities relying on the forest. The target area of the project is the last potential wildlife corridor between these two core zones. Although it connects the core zones of the two Protected Areas, the wildlife corridor entirely legally sits within the SWS boundaries, covers approximately 250 km2, and is home to eight communities totaling 3,500 people (including 50% indigenous people). Loss of connectivity happens mainly through illegal forest clearing by communities for agricultural purposes and in the absence of an enforced SWS management plan. 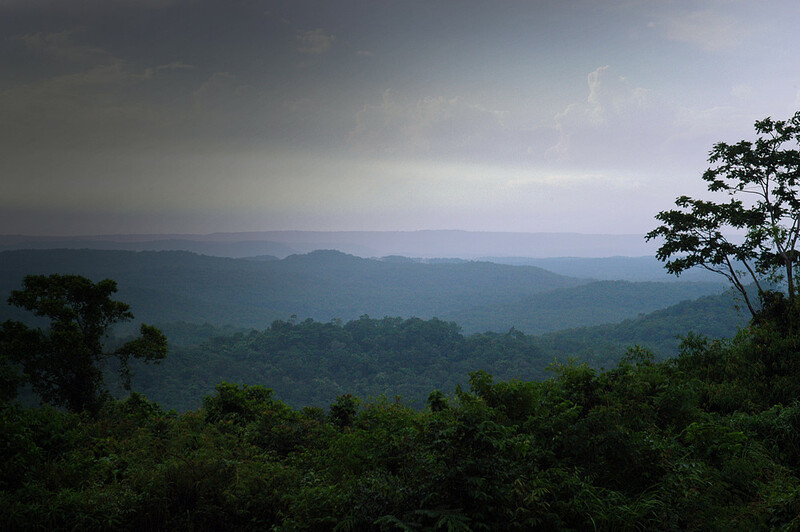 Forest encroachment drives potential human-wildlife conflicts and the loss of forest ecosystem services such as NTFPs, water provision and climate regulation on which the communities depend. This project will ensure that the biodiversity corridor connecting the core zones of Phnom Prich Wildlife Sanctuary (PPWS) and Srepok Wildlife Sanctuary (SWS) is maintained, by improving the livelihoods of vulnerable forest communities through sustainable and forest-friendly agricultural practices and by achieving legal protection of biodiversity corridors at national and provincial levels. This project comes under the framework of the “Tx2” goal to globally double the number of wild tigers between 2010 and 2022, a commitment pledged by the thirteen tiger-range countries including Cambodia. 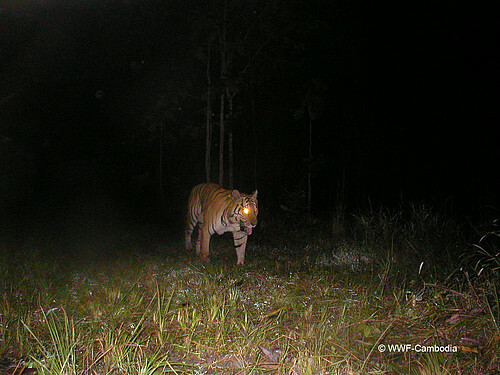 Tigers are considered functionally extinct in Cambodia, with natural recovery impossible. This project is the first in Cambodia to seek official support for a critical biodiversity conservation corridor, within a global first initiative of reintroducing tigers in SWS by 2022, led by the Cambodian Government and technically and financially supported by WWF since 2010. Cambodia’s contribution under “Tx2” will need to overcome many challenges to re-create the necessary biological, economic and social conditions enabling the reintroduction of a functional population of tigers in a landscape where they have been poached to extinction. A breeding tiger population in SWS will be the ultimate indicator of a thriving and sustainable ecosystem benefiting wildlife and people, which is the WWF’s 2030 vision for Cambodia. SWS has been selected by the Cambodian government as the most suitable site countrywide for the reintroduction of tigers in Cambodia. Thus this project would provide critical contribution to this global first. However a well maintained connected habitat supported by local communities, civil society and authorities is a prerequisite. The activities and project area selected for this project are critical to contribute to the 2030 vision in that they address three key pillars for biodiversity conservation and poverty alleviation which replication will show impact at scale. This project will foster a 3-pronged strategic approach. Current levels and community perception of human-wildlife conflict (HWC) across PPWS and SWS will be assessed through the conduction of household interviews with a focus on communities living inside the biodiversity corridor. 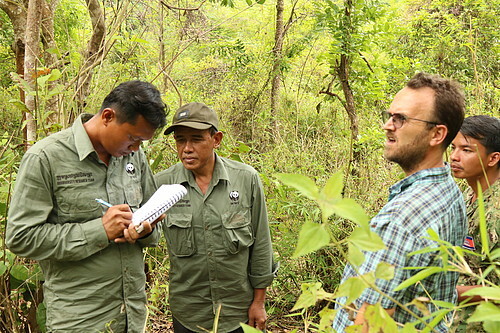 WWF-Cambodia will map HWC hotspots across the 2 Protected Areas, providing decision-makers with unique and valuable information on priority areas for HWC mitigation and consideration during the development of the SWS management plan. Communities will also be provided with equipment to improve their agricultural and livelihood practices in a wildlife friendly way, mitigating the risk of HWC. HWC will be further mitigated and prevented when scientific understanding of wildlife movements, especially Asian elephant herds’ movements, in the PPWS/SWS biodiversity corridor will be improved and documented in collaboration with elephant and HWC experts and vets from the Ministry of Environment (MoE) and the Ministry of Agriculture, Forestry, and Fisheries (MAFF). Distribution and if possible home ranges will be mapped and disseminated to government and local communities to ensure that elephant movement routes are conserved, thus attempting to prevent future human-elephant conflict. A “Commune Agro-Ecosystems Analysis” (CAEA) methodology incorporating sustainable livelihoods framework (SLF) principles will propose an appropriate agricultural extension program based on farmers’ key issues and opportunities. As part of the CAEA, a Rapid Rural Appraisal (RRA) will provide information on wealth ranking, land tenure, gender-based task-sharing, income source (NTFP/Agriculture) through participatory discussions with male and female representatives from eight communities. Based on the RRA, HWC perception study, crop analysis and market viability assessment, recommendations and training for improving productivity and adopting better technics for crops and husbandry (crop rotation, wet/dry season-based cultivation, improved irrigation, poultry farming, non- wildlife-attracting crops...) will be provided to farmers with the support of the Cambodian Center for Study and Development in Agriculture (CEDAC) and the Provincial Department of Agriculture, Forestry and Fisheries (DAFF). MoE and the eight local communities from Pou Chrey and Dei Ey Communes located inside the biodiversity corridor will collaborate through joint consultation workshops aiming at reviewing and endorsing the official five-year SWS management plan. The plan will specify the importance of the biodiversity corridor connecting the core zones of SWS and PPWS and the role of the eight communities in its protection. A zoning process will assess biological and sociological data to define purpose areas inside SWS: 1) strictly protected core zones, 2) restricted-access to conservation zones, 3) sustainably used zones and 4) community zones. The PPWS/SWS corridor recognition will contribute to the Environmental Code (EC), an upcoming new national legislation which will address policy gaps and overlapping structures and responsibilities in the current environmental governance. WWF-Cambodia is currently one of the key contributors to the drafting of the EC, providing input and engaging with the government. In this context, the project will demonstrate the role of biodiversity conservation corridors, which will lead to formalizing their protection at national level by nesting them in the Environmental Code. There will be meetings with government partners and relevant stakeholders to identify in-country personnel to be trained to collar elephants in order to better understand the movement of the elephants within the biodiversity corridor in PPWS/SWS complex. Conservation-based agriculture models will be introduced to communities living in the PPWS/SWS biodiversity complex. Community members, especially the most vulnerable woman-led households, in the eight communities will be trained on sustainable agricultural techniques (crop and seed selection, crop rotation, irrigation, fertilizer, and HWC mitigation tools) along with practical guidelines and facilitated study tour to conservation-based agriculture sites. WWF-Cambodia, in collaboration with the Ministry of Environment (MoE) and relevant partners, will work to revise SWS management plan by providing evidence-based documentation about the role of the corridor within PPWS/SWS complex to MoE, while regularly meet with MoE to ensure that “Biodiversity Conservation Corridor” remain in the Cambodia Environmental Code (EC) and to advocate on the incorporation of the PPWS/SWS corridor into the National Corridor Map. 150 farming households (including 20 of the most vulnerable women-led farming households) in eight forest-dependent communities who implement the conservation-based agriculture. 300 households from 18 villages within and around the corridors will understand the HWC status and perception. 600 farming household members and 3,500 PPWS/SWS corridor community dwellers’ land tenure and rights will be formalized under the SWS management plan. 36,000 local people in and around the SWS/PPWS complex will benefit at various levels by the three strategies of the project. WWF-Cambodia will collaborate with CEDAC to build the capacity of relevant DAFF staff, as well as of eight farming households’ group leaders in monitoring and evaluating the conservation-based agriculture solutions proposed within this project. WWF-Cambodia also partners with other international NGOs including Wildlife Conservation Society (WCS), Conservation International (CI), Birdlife International (BI), NTFP-EP and RECOFTC through joint programs addressing the threats to EPL’s ecological integrity and to support the wider vision of conserving the landscape for wildlife and humans to live in harmony. Without corridors, forest areas become fragmented, species disappear and natural processes break down, affecting ecosystems and forest communities who rely on them. This project aims to enhance livelihood for forest communities and improve the protection of the biodiversity corridor. Scientific research on movements of elephants in biodiversity corridors will provide new information to support the government’s conservation and social development efforts. Livelihoods of target communities will be enhanced through innovative agricultural models such as crop selection and rotation, irrigation technics, natural fertilizer and pest killer, fire breaks, HWC mitigation tools. The SWS management plan will recognize the role of a biodiversity conservation corridor in alignment with the appropriate legislation to maintain connectivity between the two Protected Areas. Viable populations of threatened species are maintained including Asian elephant and Indochinese leopard currently at risk of becoming critically endangered. Reduction in deforestation, human-wildlife conflicts and their associated impact on ecosystem services (water provision, climate regulation, NTFPs) on which communities rely. 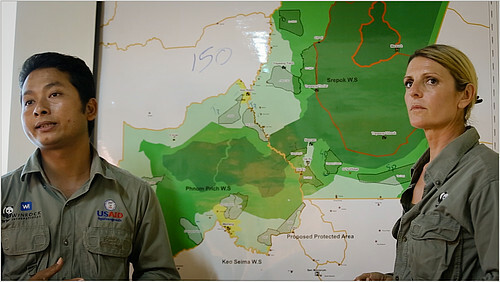 The importance of conservation corridors will be formalized in the new Environmental Code of Cambodia, paving way for upscaling and applying the new governance model of preserving corridors throughout the country’s Protected Areas where such corridors have been identified, thus ensuring a sustainable network of connected Protected Areas and contributing to the conservation of key endangered species and to the ecological integrity of mosaic landscapes.